Georgia Court Reporters | National Court Reporters, Inc.
Want the reliability and accuracy that comes with experienced court reporting in Georgia? 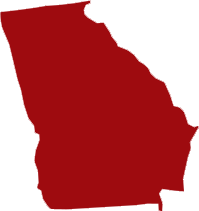 Hire National Court Reporters Inc to assist you with your case in the great Peach State! We have an entire team of certified court reporters available, ready to work in whatever capacity you need when it comes to litigation support. From simple transcription to video conferencing, translation, depositions and more, count on us to put in the work to help you build a winning case. Our Georgia court reporters have a great range of experience across cases involving medical malpractice, intellectual property law, alongside most other legal areas. And, thanks to state-of-the-art technology like LiveNote™ and e-Transcripts™, we’re able to provide results quickly and completely, without error. We’re ready to assist you and your team 24/7 and will connect you with a court reporter in Georgia that has experience with cases like yours. Our services are available to legal professionals throughout the state and nationwide.